Ever since the launch of OptinMonster 3.0, we’re on a continuous sprint cycle. Today, I’m excited to announce sitewide embeds for OptinMonster and some major improvements to our Dynamic Text Replacement that we introduced earlier this month. 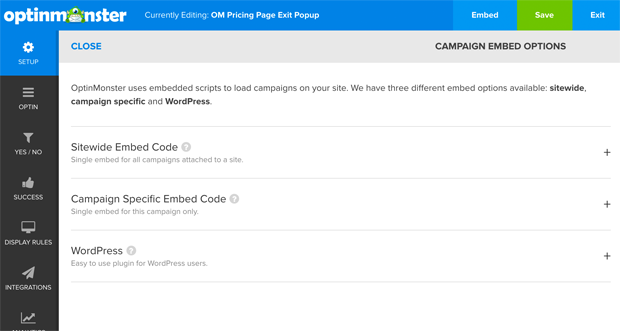 In the past, if you weren’t using our WordPress plugin or Google Tags Manager, then it was a pain to add multiple OptinMonster campaigns on your site because each new campaign would require you to add a new embed code. I know it was an inconvenience and a lot of you gave us that feedback (thank you for your patience). Trust me, I wanted to get this out as soon as possible. We rewrote the entire legacy infrastructure to allow for sitewide embeds, so now all of our users can easily get started with OptinMonster. Simply paste the sitewide embed code on your website and then you can create as many campaigns as you like. After that use our powerful Display Rules to control when and where each campaign should be displayed. This is the underlying feature that would allow us to build more platform specific integrations like we have with WordPress. I know several of you have been asking us for this, and it’s coming sooner than you think. Earlier this month, when we released Dynamic Text Replacement (DTR), we got tons of integration questions. Since Dynamic Text Replacement is completely API driven, it requires assistance from your technical team. However based on your feedback, we’ve added two major improvements to make it easier to add DTR to your campaigns. Then OptinMonster will personalize the campaign for that person. 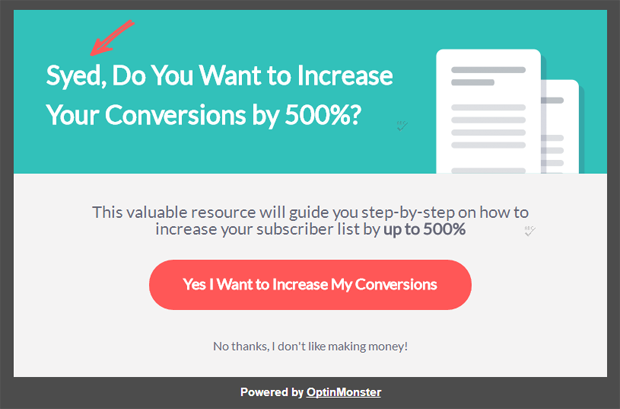 Now if you had an automated up-sell email that directs user to a targeted landing page, you can personalize your OptinMonster campaigns to further boost your conversions. You can also combine this with OptinMonster’s success redirect feature where you can pass lead data to a redirect URL. Then on your success page, you can show a follow up campaign that’s personalized to your new subscriber. 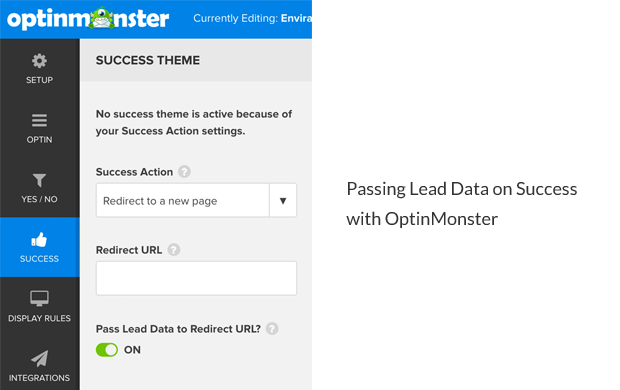 More details on how to pass lead data to success URLs in OptinMonster. Some users requested cookie based DTR, so we added that as well. You can now dynamically alter the text of your campaigns by reading the cookies in the user’s browser. See our full Dynamic Text Replacement integration guide. P.S. What are you waiting for? Start converting abandoning website visitors into subscribers & customers. Get Started with OptinMonster Today!